Malaysia has an extensive double tax treaty network and, as a federal territory, Labuan benefits from the provisions of these treaties. Not all of the Malaysian double taxation agreements are also applicable to Labuan entities because some countries have specific laws related to anti-avoidance legislation, which excludes offshore entities, like the ones that can be incorporated in Labuan. Asian countries, as well as many other countries in Europe and in other continents, have accepted the extension of the double tax treaties with Malaysia to Labuan. Investors who open a company in Labuan can benefit from the reduced tax on royalties and interest, as those on dividends are not applicable. 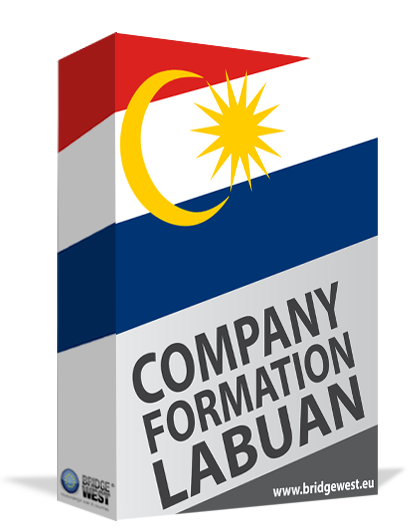 Company formation in Labuan is a simple process and offshore companies here have access to a preferential low-tax regime. This is why many investors choose to open their business here. Below, we answer some of the most important questions about the double tax treaties available for Labuan and the general principles for taxation in this federal territory. What are the double tax treaty rates in Labuan? A double tax treaty offers convenient rates on the withholding taxes on dividends, interest, and royalties when these payments are made between Malaysia/Labuan and another country with which the treaty is signed. This is especially important for businesses that conduct activities in both jurisdictions and the principles for the avoidance of double taxation encourage mutual investment between jurisdictions. Below, we highlight some of the applicable withholding tax rates under a treaty signed with different other countries. The table above is not exhaustive and there are other double tax treaties signed by Malaysia that are also applicable to Labuan. The treaties also apply for capital gains, which can also be subject to lower rates of complete exempt from withholding taxes. The following countries do not consider Labuan as part of the benefits applicable under the double tax treaties signed with Malaysia: Australia, Chile, Germany, Indonesia, India, Japan, Luxembourg, the Netherlands, Seychelles, South Africa, South Korea, Spain, Sweden, the United Kingdom. Our Labuan company formation agents can assist investors with information about the treaty or non-treaty rates according to their country of residence. What are the provisions of a double tax treaty? An Agreement for the Avoidance of Double Taxation and the Prevention of Fiscal Evasion with respect to Taxes on Income signed between Malaysia and other countries is drawn up after the OECD model with some applicable modifications, according to the signatory states. For most of these treaties, the taxes to which the treaty applies in the case of Malaysia will be the income tax, the supplementary income tax, and the petroleum income tax. For the other signatory state, the taxes will typically be the income tax and the corporate tax. The agreement can also apply to any similar or additional taxes imposed by one or both jurisdictions after the signatory date. The agreement allows for reduced or abolished withholding tax rates for dividends, interest, royalties, and capital gains as well as makes provisions for the treatment of other types of taxes imposed on different types of income, such as income from immovable property, business profits, shipping and air transport, director’s fees and others. The Labuan Business Activity Tax Act of 1990 (LBATA) is the one that establishes the taxation rates for a Labuan offshore company. Thus, a company that carries out trading activities can choose to be charged at a rate of 3% on the net audited profits or be subject to a flat rate of 20,000 MYR for the year of assessment. Companies in Labuan that carry out non-trading activities are not subject to tax. Some countries do not recognize Labuan as being part of Malaysia for double tax treaty purpose because it has the status of Business Financial Center. However, approximately sixty double tax treaties that are in place in Malaysia are also extended to Labuan and investors from these countries can find that the taxation regime is beneficial for their business needs. For more information about taxation in Labuan and the applicability of the double tax treaties, please contact our team of Labuan offshore company formation specialists.